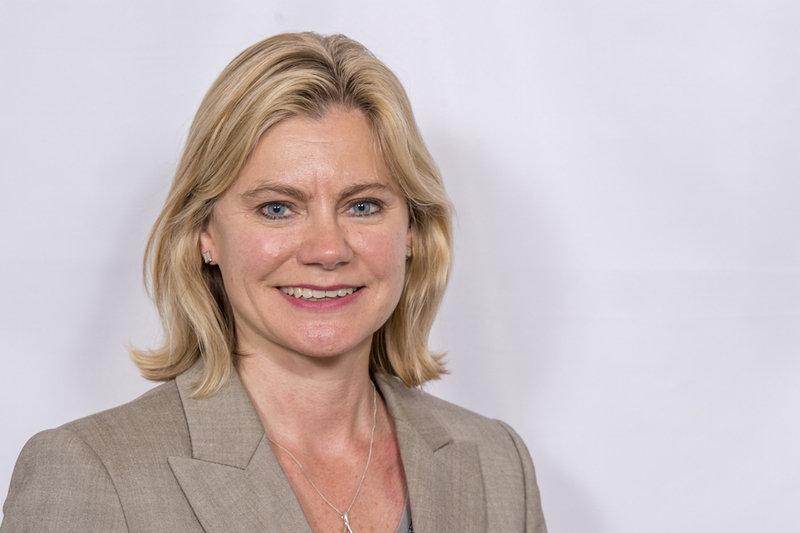 Justine Greening's speech at the London Stock Exchange on economic growth and the role of business in international development. Welcome, and thank you all for coming. And thank you Xavier and the London Stock Exchange for hosting us today. It’s fantastic to be here at the London Stock Exchange in the heart of the City to talk about economic development in developing countries and the role of businesses in that. I’ve said from the word go in this job that Britain’s investment in International Development isn’t just the right thing to do – it’s the smart thing to do too. I’ve been clear that I want to see our investment in the right places, on the right things, spent in the right way. So, I’ve started driving better value for money within DFID, by strengthening Ministerial oversight of business cases and contracts, and improving our supplier procurement. But I also wanted to take a closer look not just at how we go about our development work, but what that work comprises. Today I want to talk about why I will be shifting DFID’s work to include a much stronger focus on economic development and the steps we are going to take to get that strategy in place. But I also want to more broadly address the argument from those people who fundamentally don’t buy into international development in principle. Having listened to many of the arguments, I’ve reached the conclusion that for some people, any spend on international development is the wrong priority. Obviously, our government is committed to reaching the 0.7% of GNI target. We will achieve that this year, as we host the G8. There are clearly some who think that focussing 99.3% of Britain’s Gross National Income on Britain isn’t a big enough proportion. I can understand those arguments. And in part, they come from a sense that the UK’s national interest matters, and I completely agree with that. I went into politics because I passionately care about this country’s future too. But I’m arguing today that our investment in international development is in our national interest – in fact, I believe it’s critical. We are market making – ultimately, if we approach international development effectively. Trade between nations creates growth, jobs and prosperity for both countries and people. It drives down prices and increases choice. Some estimate that the current proposed free trade deal between the US and EU might raise our combined GDP by nearly 150 billion euros. We’re rapidly growing our exports to emerging economies like China and India, including with our Prime Minister led trade delegations, but if only the last government had been more effectively working with industry and nascent emerging markets a decade ago, how much more trade would we be being doing in those countries by now. Here in the UK we’re setting about rebalancing our own economy. We know that an economy overly reliant on the South East, or on construction and financial services isn’t resilient. It’s like a car with only part of the engine working just one piston firing. So, we’re rebalancing our economy, but we need to see the same thing happening globally too. International Development is in our interests not just because it creates new markets, but because I believe it can deliver a more balanced, resilient global economy. So, international trade works in creating prosperity, but what about individual countries? Again, domestically, Britain is grappling with a situation that, when you boil it down, saw us inherit a public service and welfare state that the public simply could not afford. It is driving some difficult structural decisions to rebalance from public to private sector to help build a sustainable business model for our country. And so far we’ve seen 1 million private sector jobs created. But just as we cannot continue here in Britain with an unsustainable business model, neither can the developing countries DFID works with. Over the last 10 years my department has done some very effective work, generally helping to build vital basic services – health, education, water and sanitation. That work has have helped to make a difference to millions of people’s lives. We’re going to keep doing it. But I believe you can’t build a sustainable public sector without helping to build a private sector. Sustainable public services need a funding stream of tax receipts and that means a thriving private sector. A strategy to do one without the other risks a short term improvement for people in poverty without a long term plan to make sure those gains are locked in. Yes, we need to work to put in place core services – they are vital, but they must go hand in hand with the building of wealth and an economy to sustain them. So, I want to work tackle poverty and see an end to aid dependency through jobs. The facts are compelling – wherever long-term per capita growth has been higher than 3%, we have also seen significant falls in poverty. Look at China – in 1981, 84% of China’s population lived under $1.25 per day. By 2008, this proportion had fallen dramatically to 13%. This was principally driven by the tenfold increase in per capita GDP over the period. Look at Vietnam – a three fold increase in per capita GDP resulted in poverty levels falling from 64% in 1993 to 17% in 2008. Economists may argue about many things, but not about this. Her words, and I think she’s right. But it’s not just good for them, it’s good for us too – it makes business sense as well. And investing to drive economic development as well as to put in place basic services, isn’t just good for politicians, or businesses…. If you ask people in developing countries what they want, they’ll give you one top priority – it’s a job. It doesn’t matter whether you ask men or women, they give the same answer. People, wherever they are, want the opportunity to be financially independent, and to have the dignity of being able to provide for themselves and their family. And it’s more than that even. It’s about the right and the need that people have to find out and reach their potential. I believe we have to directly respond to that jobs challenge. As I’ve said before, my department is called International Development, I’m going to take the Ronseal approach to our strategy because the evidence is clear. Economic growth is essential for sustained poverty reduction. So how can we do it, how do we drive economic development? I think it boils down to probably 3 different aspects. Firstly, reducing overall barriers to trade and investment – whether regulatory, infrastructure, legal or institutional. Secondly, unlocking the ability of entrepreneurs and business people in developing countries to themselves drive economic growth through their own businesses being more and more successful. Thirdly and critically, I believe it also means greater investment by business, and I want to see UK companies joining the development push. I believe British businesses – not just those led by the 28 top CEOs who signed their letter to the Financial Times today, not just those listed here on the London Stock Exchange, but more broadly across our country, have a key role to play. As the PM has said, we’re in a global race. But if you want to be ahead of the game, be at the front, you can’t simply follow the crowd, you’ve got to lead it. And I think it means being in emerging market countries – not just those of today, but those of tomorrow too. It’s about spotting when those markets can move from the “too difficult and risky” category to the “emerging opportunity” category. And Africa has some of the most impressive growth stats in the global economy. Last year, 6 out of the 15 fastest growing economies were in Africa. Sub-Saharan Africa averaged 5.8% growth over the last decade and South Asia, 7.3%. So, I believe that many of the countries in which DFID works are in that “emerging opportunities” box, but many of you can see that because you’re there too. By 2020, Unilever expects developing markets to account for 70% of total sales – that’s huge. Through an innovative partnership with the NGO Care, Unilever is already using a rural sales force comprising 2,800 of the poorest women in Bangladesh who now sell the products of 7 major companies including Unilever, and 12,000 more women are expected to be reached by the end of 2014. Coca-Cola is extending its distribution network and transporting medical supplies in Cola Life packing on its trucks. I know that the London Stock Exchange is building financial services infrastructure through forming exchange partnerships, and giving companies in developing economies an international capital raising platform. M&S, who work hand in hand with Oxfam and other key NGOs on their Sustainable Retail Advisory Board. These companies know that consumers care about corporate values and behaviour more now than ever before, they vote with their money. Just look at the continuing success of Fairtrade – over £1.3 billion worth of Fairtrade goods were sold in the UK in 2011. It was just £50 million a decade earlier. Having spent nearly 15 years in industry before becoming an MP in 2005, I recognise that although there is are opportunities to be involved, for many companies, successfully crystallising them can be a really complex challenge. It’s complex for my department too. As I was very clear on last month in my priority speech last month, I am not talking about tied aid. I do not believe that is the way to achieve good, sustainable development. It means what’s good for companies comes first, rather than what’s good for developing countries. It’s the wrong way to go about things. And of course, there may always be companies who don’t care about behaving responsibly when they invest, but DFID works to try to tackle those risks with work on transparency and governance. But as I said recently, we can’t just see business as a risk to developing countries. We must also see it as an opportunity. Business interests and developing country interests can align far more often than not. As the last UN Secretary General Kofi Annan said: “It is the absence of broad-based business activity, not its presence, that condemns much of humanity to suffering”. So, there’s a lot to do but there’s a lot we’re already doing. DFID’s work on technology investments has already helped to unlock smart business investment in developing countries. Look at Vodafone and the hugely successful M-PESA mobile banking phone service. DFID match-funded Vodafone’s initial investment and there are now 17m users in Kenya and a third of Kenyan GDP is expected to pass through the M-PESA system. A mobile bank account essentially for millions who otherwise wouldn’t have one. One that they can do business and trade with. We’ve worked on developing innovative value chains which have the potential to transform markets and communities. Our Food Retail Industry Challenge Fund of £7.4m has helped companies like Taylor’s of Harrogate transform how Rwandan tea is produced and sold to them, and generated new products. We’re also building local capacity through supply chains. With DFID’s support the Waitrose Foundation are working in South Africa, investing in improving the skills and job prospects of tens of thousands of young people in the communities that support Waitrose supply chains. It makes good sense to keep supply chains sustainable. Waitrose is actually the first partner in our new Trade and Global Value Chains Initiative that we’ve kicked off and I’m delighted that we’ve had expressions of interest from other major retailers like M&S and Sainsbury’s who are eager to get involved. In Bangladesh, we are working with Tesco to establish an Apparel Skills Foundation to equip the industry with the training, expertise and tools to improve productivity and working conditions. It is going to train staff in over 100 factories, reaching a quarter of a million garment workers. In South Sudan we have partnered with SAB Miller so that 1200 farmers can get involved in supplying SAB Miller’s brewery in Juba. On the health agenda we’re working with a wide range of pharmaceutical companies such as GSK on the supply of vaccines to the Global Alliance for Vaccines and Immunisation, a public-private initiative to fund vaccines for children in the world’s 70 poorest countries, and GAVI’s partnership with Vodafone is exploring how mobile phone technology can help increase vaccination coverage. On education, we are exploring with Pearson how we can work together to develop innovative, sustainable solutions for quality education for millions of children, with real accountability for parents. Lots of individual projects in different sectors, but I believe we’ve only just scratched the surface. I want to see far more (British) businesses joining the development push with DfID. We all have a huge opportunity to help build up responsible trade with the emerging economies of developing countries. We’re not doing anyone a favour leaving the economic coast clear to those with lower standards than our own, and I believe British companies can have a real role in growing developing economies through trade. Today I can announce that DFID has already begun to develop the comprehensive and responsible strategy that we need for working with businesses interested in responsible investment in developing countries. We want to do more with the companies we’re already working with, but I don’t just want to reach out to the largest companies in our country. I want medium and smaller companies to get involved too. Take Reid Steel in Christchurch, Dorset – designer and manufacturer of two 120m bridges in Nepal which should be able to better withstand earthquakes and flash floods. One bridge was opened in January this year and the second is due to open in June. And we can do so much MORE. Britain is open for business and I want DFID to be open for business too. We are already working with the CBI. I want to get together with industry bodies across different sectors, NGOs and business schools. I want an ambitious approach that sees DFID as a hub for knowledge sharing and advice and providing in-country support, where projects have a clear development gain for the countries concerned. I want your help to do that. DfID will lead this work across government, linking up with BIS, UKTI and FCO to deliver it. As I said before, for the countries we all want to see develop, we do them no favours by leaving the economic coast clear to those with corporate governance standards that are lower than our own. We have those standards. Britain has those standards. And one thing I’ve learnt in this job is that those standards, our British approach matters. It is recognised and valued across the world. That’s why so many international companies list right here in London. They know we are people who stick to our word. The London Stock Exchange motto is “Dictum meum pactum”, “my word is my bond”. Let us use that approach for good. And if your company simply wants to do something practical that isn’t anything to do with your core business, but you just want to make a difference, I’d like to see how DFID can better provide a framework for industry to know how to go about it in the right, responsible and sustainable way. I hope I can get our world class NGOs to help on this too. So there’s lots of work to do with you, but alongside that, I want DFID to do more to help build up strong and investable business environments in the developing countries themselves. That means helping countries build their own tax base, squeezing out corruption and providing the technical advice that means when economic growth does happen, countries are well placed to then reap and reinvest the gains. Last week, with the PM, we hosted the Afghanistan Mining, Oil and Gas Investor Forum at No 10. It brought together the Afghan Mining Minister – a man who has, with DFID’s help and the excellent pro-bono advice of former head of KPMG Michael Wareing, delivered a Mining Law that will now pass through the Afghanistan Parliament. Afghanistan sits on an estimated $2-3 trillion of oil, gas and mineral deposits. And with the safeguards in place, consulting with communities, ensuring jobs stay local, and the chance for tax receipts from mining to in part to be reinvested in health and education, it’s ultimately going to be business investment that unlocks Afghanistan’s future. And DFID has also provided support to help the Afghan government to improve its tax base and tax collection. With technical advice, we have seen their tax base grown from $250m in 2004 to $2bn in 2012. We’re going to do more of that. And today, I can announce that DFID will be setting up a Tax Capability Building Unit within HMRC to provide us with an in-house team of tax experts dedicated to working in developing countries with DFID teams. As we have seen in Afghanistan, the returns on this sort of investment can be enormous. Our first joint DFID/HMRC country projects will start this April and I expect that once we’ve built the unit up, by April 2017 we will have teams working in 6/7 more countries. It also means reducing regional trade barriers. African Union leaders have signed up to creating a free trade area by 2017. That’s an ambitious plan that we want to see succeed. So dismantling trade barriers is vital. The Economist recently cited the example of a car from China, which would cost more to take it from Tanzania to neighbouring Uganda than it did to ship it from China in the first place. The DFID supported Africa Free Trade Initiative is dramatically speeding up border crossing between Zambia and Zimbabwe, and by 2015, DFID aims to help cut by half the average crossing time at ten major border crossings between countries in East and Southern Africa. DFID’s project, Trade Mark East Africa, aims to increase trade from the East African Community overall – our work with the revenue authority in Burundi has directly led to revenue up around 40% year-on-year for 2012; and even in South Sudan, the new customs service it’s helped establish has seen customs revenues increase significantly. Technical assistance matters and I can announce today a £51 million investment in DFID’s International Growth Centre to expand its work to Burma, Malawi, Liberia and Nigeria, providing expert, independent growth policy advice direct to governments in developing countries. DFID is also launching a new £5m commercial law and justice programme to support the improvement of the legal environment for business and investment in developing countries. It will also increase the transfer of world class commercial legal knowledge, skills and support, much of it based here in the UK to where it is needed. We’re also working to strengthen property rights. You wouldn’t buy a house without checking the land registry, yet in most of the developing world, the people who occupy and farm land, don’t have any legal rights to it. This matters for economic independence, because in particular for the many women who have small farms, if you don’t have land, you don’t have collateral, and if you don’t have collateral – you can’t get a loan. And if you can’t get a loan, you can’t develop your business. We’re already doing work in Rwanda on this, so far helping to register 5 million parcels of land onto a new land registry – half of those benefitting from that have been women. Investing in women is hugely powerful because we know that women will reinvest 90% of that income back into their families and communities, so there’s a double bonus. And we know that it changes attitudes towards women in a beneficial way too. Some NGOs have raised the issue of Land as part of their campaign on food and hunger. And we will pursue this at the G8 alongside the transparency that we want to see, protecting legitimate investors and the rights of local communities, and also exposing those who acquire land unfairly. Finally, expect to see my department looking at innovative financing approaches to help support this new style of development investment. CDC’s remit has changed to better focus on the countries and sectors where we know development investment will make the biggest difference to poverty alleviation. And I want to look at other innovative ways to do more direct investment, including more projects based on returnable capital, which sees an investment fund, investing in local companies, creating jobs, generating a return that can itself be reinvested. So the UK will also be taking a lead on developing the global market for social impact investment which is estimated now at over £1 billion. In December I launched a new £112m programme where, for the first time, DFID will support investments that are designed to benefit the poor whilst offering a financial return to investors. This is good for investors, who earn a financial return. It’s good for the poorest, who receive jobs and support. And good for DFID as it allows us to leverage in far more private sector finance, meaning each pound of our budget has even more impact. I’m also pleased to announce that on 6 June the UK will be hosting an event on impact investment as part of our Presidency of the G8. This event will help catalyse this growing global opportunity to enable the market to operate effectively on a global scale. So there is much to do. I know that nothing changes overnight. But what I’ve set out today is intended to signal a real shift in my department’s work – driving economic growth alongside our core work on basic services, working hand in hand with business to do that. The countries where DFID works will be the growth markets of the next 20, 30 years. And I believe Britain can be a force for good in this world. But, I also believe British business can be. My objective for developing countries is an end to aid dependency through jobs. Every time Britain has been at its most successful, it’s been when we’ve been out in the world, trading, doing business. We’ve never stood on the sidelines. And we can’t afford to start now.